Where are you? Home » News » Exhibition Review "WIN - World of Industry"
Exhibition Review "WIN - World of Industry"
This year many experts visited the exhibition and the exhibition stand of REO. There was an extensive exchange of information with many interested parties where REO was established as a specialist within the different product areas. 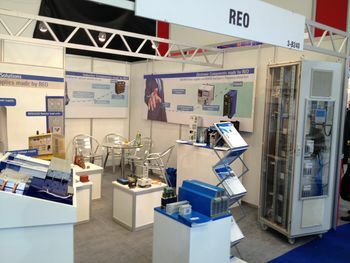 REO would like to thank all visitors for the interest that was shown this year. Next year we plan to have a larger stand to show even more of our product range.